I'm loving this! Parmigiano Reggiano is made from partially skimmed milk, is aged so there is only 2% lactose and is high in calcium (many liters of milk are concentrated in that wonderful cheese). 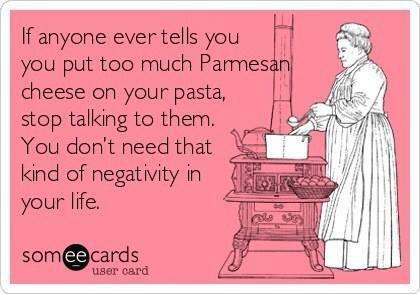 So don't just grate the cheese! Make bite sized chunks Parmigiano and serve with a fig jam, honey, a sliced fresh fruit (strawberries, peaches or pears) or a luxurious drop of 25 year-old Traditional Balsamic Vinegar. That way you have a luxurious and healthy snack.